The holidays are approaching, and while that usually means hot chocolate, large meals and family time, this time of year also brings blizzards, ice storms and freezing temps to many of us in the Northern Hemisphere. For many, December and January are frankly overwhelming. Ready for some underwater stress relief? 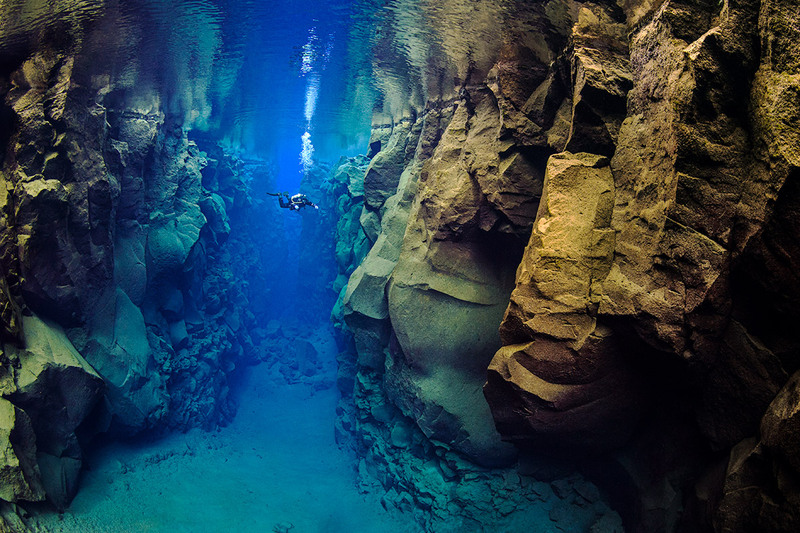 Take a break from it all with a scuba diving adventure. 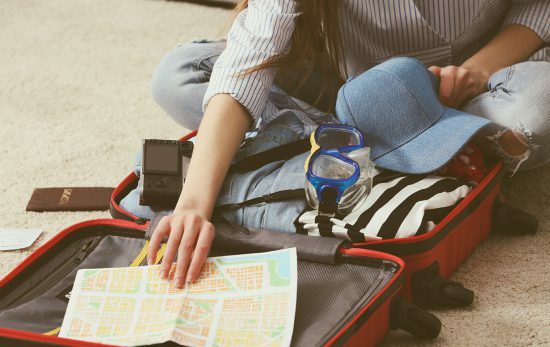 Whether you travel over the holidays or take a vacation immediately following the festivities, these ten destinations are in peak form this time of year. If you’re searching for a winter sun getaway, look elsewhere. 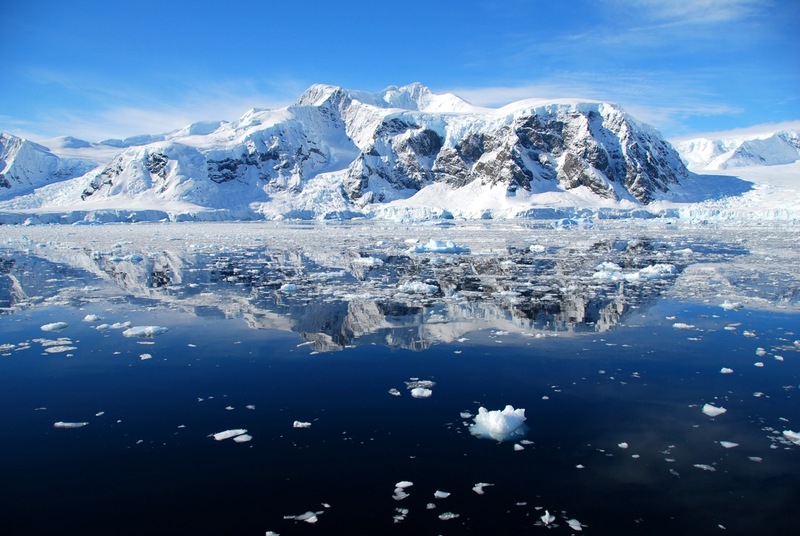 For those in search of adventure, Antarctica is one of the best scuba diving destinations for the holidays. The Southern Hemisphere is heading into summer, making this one of the only seasons you can actually visit the southernmost continent. If you’re properly trained, Antarctica offers the chance to dive under the ice and beside icebergs, swimming next to penguins, leopard seals and various gastropods along the way. Humpback whales are also present during these months, gathering fat while feasting on Antarctic krill. The only practical way to dive in Antarctica is by liveaboard with typical itineraries lasting about 11 nights. 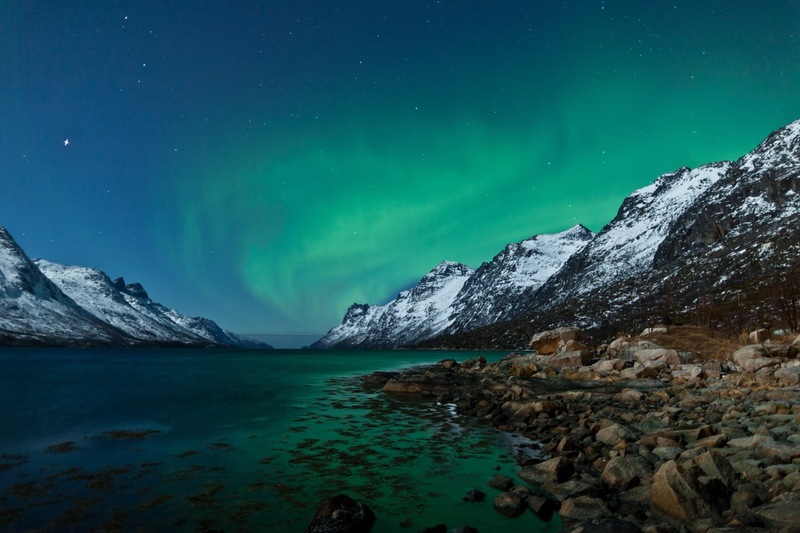 Another cold water destination, Norway offers some pretty noteworthy winter experiences. From October to February, pods of orcas patrol the coast and local dive operations offer orca watching and snorkeling trips. To make Norway even more appealing, December is also known as the best month for spotting humpback whales in Norwegian waters. These large creatures follow the herring track along the Kaldfjord, a sheltered area outside of Tromso. After Christmas, they tend to move back into the open ocean. Book a liveaboard (and pack a drysuit) if you want to swim with orcas this holiday season. One of the best wreck diving destinations in the world, December and January are great months to visit Chuuk (Truk) Lagoon in the Federated States of Micronesia. During World War II, more than 200 aircraft and 60 ships were sunk in this lagoon during an Allied attack on the Japanese naval base. 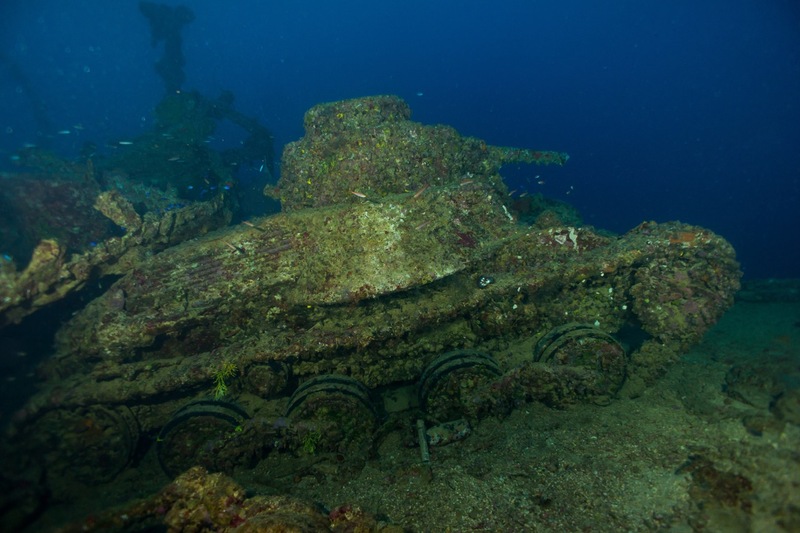 Today, Chuuk is a Japanese memorial, but more than 50 of these wrecks are open to scuba divers. The peak season for this part of the South Pacific is from October to April, and during these months, you can expect dry conditions and warm water temperatures. You’ll find both dive resorts and liveaboards in Chuuk, making this a wonderful option for wreck divers looking for warm water over the holidays. 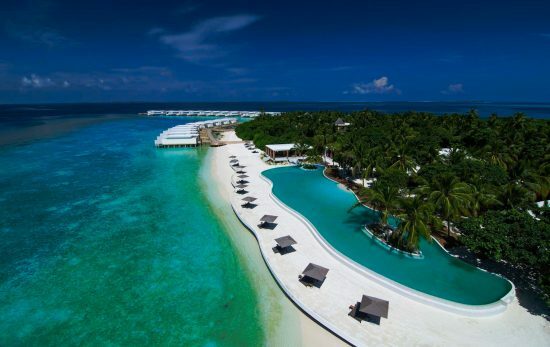 Imagine spending the holidays on a pure, white sand beach looking over crystal clear waters. 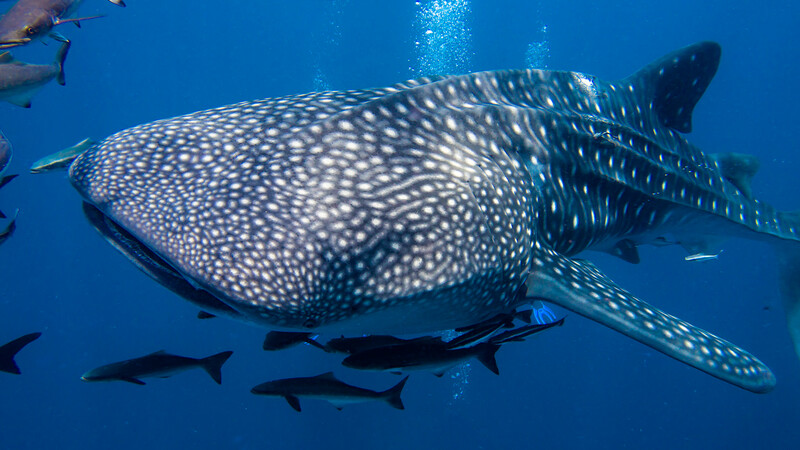 Famous for whale sharks and manta rays, the 1200 islands of the Maldives represent a scuba diving paradise. The waters around this island country are dominated by a series of pinnacles (thilas) and channels (kandus), which draw in pelagic species from the open Indian Ocean. Because of this geography, currents can be quite strong and many of the dive sites are ideal for drift diving. 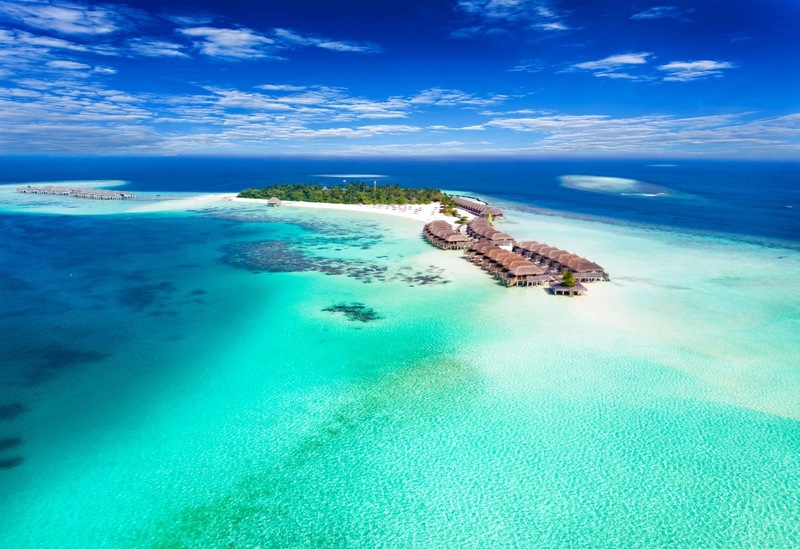 Diving in the Maldives is accessible year-round, but from December to March, dry weather and calm seas dominate as the northeast monsoon arrives. This makes for great underwater conditions and comfortable water temperatures (77 – 86°F / 25 – 30°C). 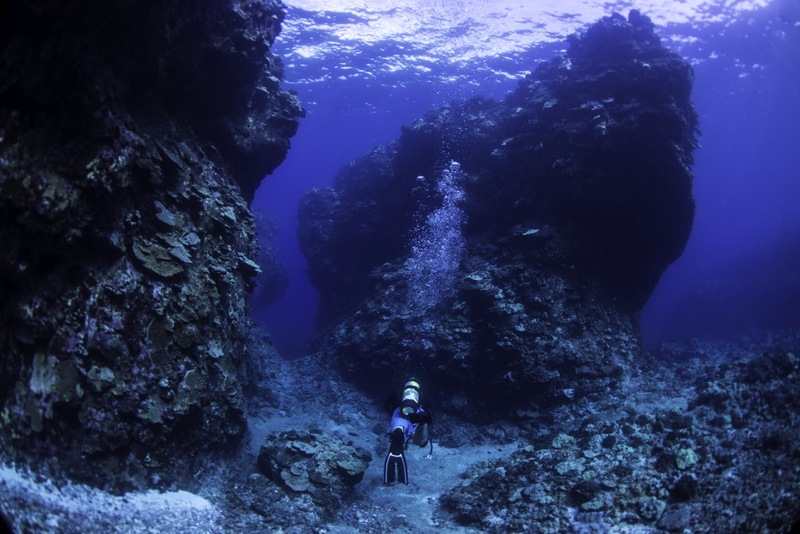 All of the above combines to create a wonderful scuba diving destination during the holiday season. Only open from November to April annually, the Similan Islands are one of the best scuba diving destinations in Thailand. During these months, the water is calm and the weather is generally clear. In addition to great weather, this time of year also brings frequent plankton blooms and an abundance of cleaner wrasse. These, in turn, attract manta rays and whale sharks as well as black and white-tipped reef sharks to dive sites like Koh Bon and Richelieu Rock. Although you’ll need to travel to these islands by liveaboard, trips to the Similan Islands are comparatively affordable. Grab a spot on a 2-day trip or a 1-week vacation to enjoy your holidays scuba diving in Thailand. Also known as the Gardens of the Queen, Jardines de la Reina in Cuba is a mecca for shark lovers. This protected area also boasts a large, healthy coral reef and crocodile encounters to boot. Plus, the holidays happen to be right in the middle of liveaboard season, providing dry and warm conditions for scuba diving in this paradise. 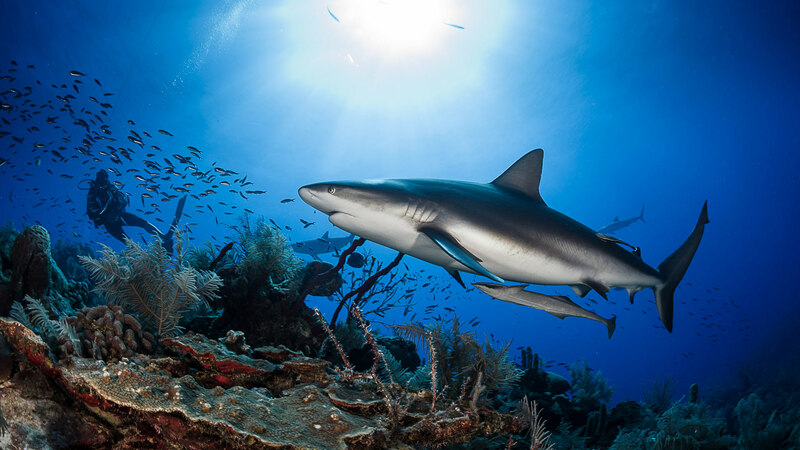 On most trips, you will encounter dozens of Caribbean reef sharks and silky sharks in Jardines de la Reina. 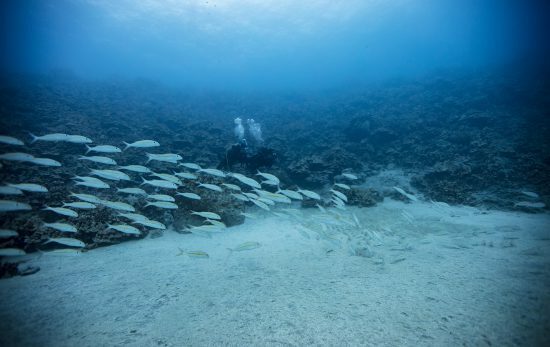 These fish are very comfortable with scuba divers, creating incredible encounters. Because tourist numbers are limited, the Gardens of the Queen are only accessible by liveaboard. Palau has something for everyone. Shark diving, wrecks, beautiful soft coral reefs and exciting drift dives are sure to please. Plus, heavy currents sweep in pelagic species like manta rays, reef sharks and sea turtles. And coral beds create habitat for large schools of fish as well as macro species. 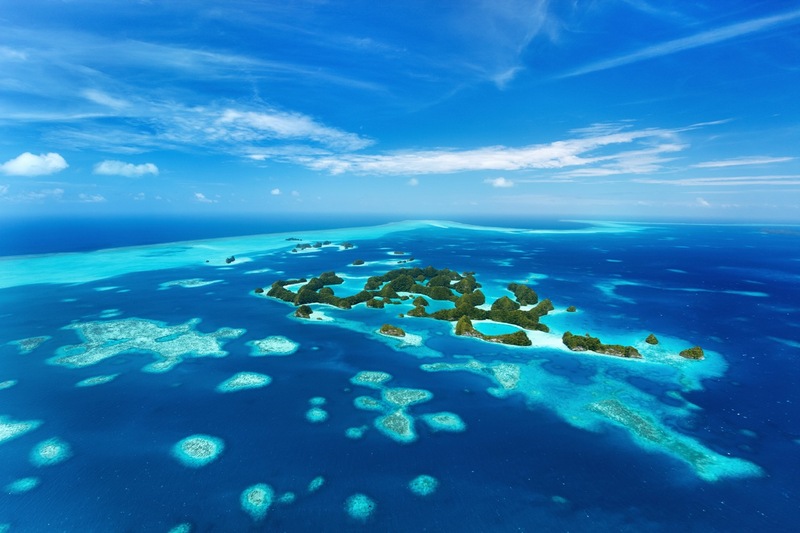 Visiting Palau should be on every scuba diving bucket list. You can dive Palau year-round, but October to April represents the peak season, making the holidays a great time to visit. If you pick the right weeks to visit, you might even get to see the famous parrotfish spawning event that takes place around the new moon. Liveaboards in the area generally feature special itineraries for the event. One of the hottest scuba diving destinations of 2018, there’s still time to visit Raja Ampat before the end of the year. This part of Indonesia is famous for having the highest marine biodiversity on Earth. Huge schools of fish, colorful corals and macro creatures welcome divers to the underwater world. On any given dive, you might spot wobbegong sharks, epaulette sharks, manta rays, bobtail squid, pygmy seahorses and, even, whale sharks. Diving season in Raja Ampat lasts from October to April. During these months, divers will enjoy clear weather and relatively smooth seas. In addition, diving during high season gives you the greatest chances of seeing manta rays. 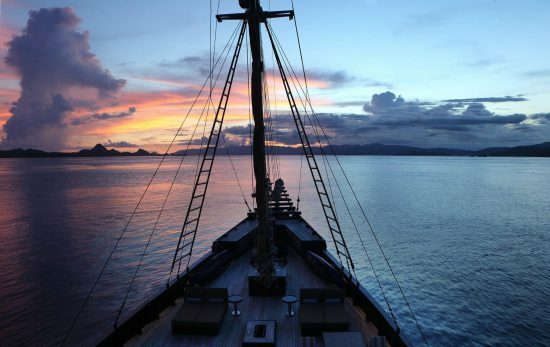 If you’re looking for a bit of adventure to end the year (or start 2019), set sail on a liveaboard or book a dive resort in Raja Ampat, Indonesia. 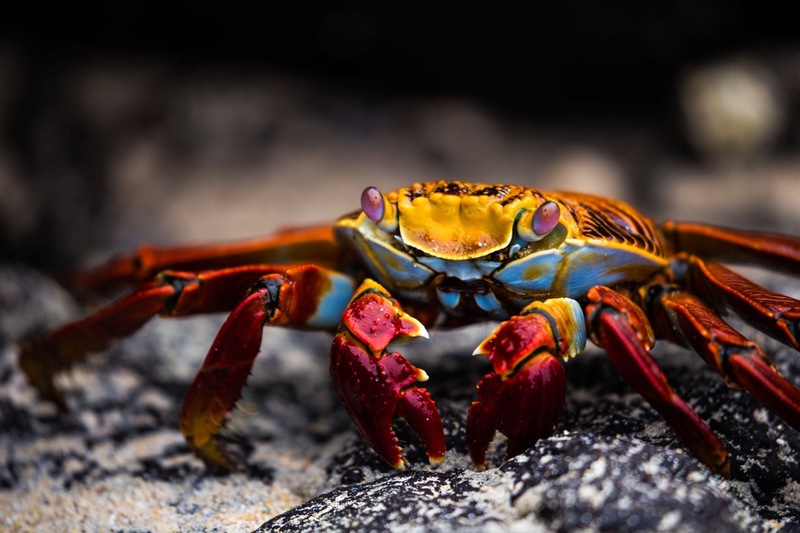 The Galapagos Islands are the stuff of legend. These far-flung islands have been discussed in science classes around the world for decades, making them one of the highest-ranking bucket list destinations ever. And it’s easy to see why. Whale sharks, penguins, marine iguanas, hammerhead sharks and mola mola are just a few of the animals you might log during a trip to the Galapagos. Topside, you’ll enjoy stunning scenery and epic expeditions, following in the footsteps of Darwin himself. June to December brings the dry season to this part of Ecuador. With that comes colder temperatures above and below the surface, but that’s great news for animal activity. The holidays are really one of the best times of the year to dive this archipelago. Help 2018 go out with a bang, and book your trip to the Galapagos Islands today. “Mele Kalikimaka is the thing to say on a bright Hawaiian Christmas day. That’s the island greeting that we send to you from the land where palm trees sway.” Bing Crosby transports us to Hawaii in his song “Mele Kalikimaka.” It might seem a far off reality, but this year, you can make those musings a reality with a scuba diving vacation to the Aloha State. Hawaii is a fantastic diving destination year-round, and celebrating the holidays in a tropical climate just sounds right. Warm temperatures, sandy beaches and swaying palm trees will greet you above the surface. Underwater, you’ll find manta rays, tropical fish and even the chance of spotting a passing humpback whale. Accessible by liveaboard or from land, Hawaii is a wonderful choice for your next scuba diving destination. 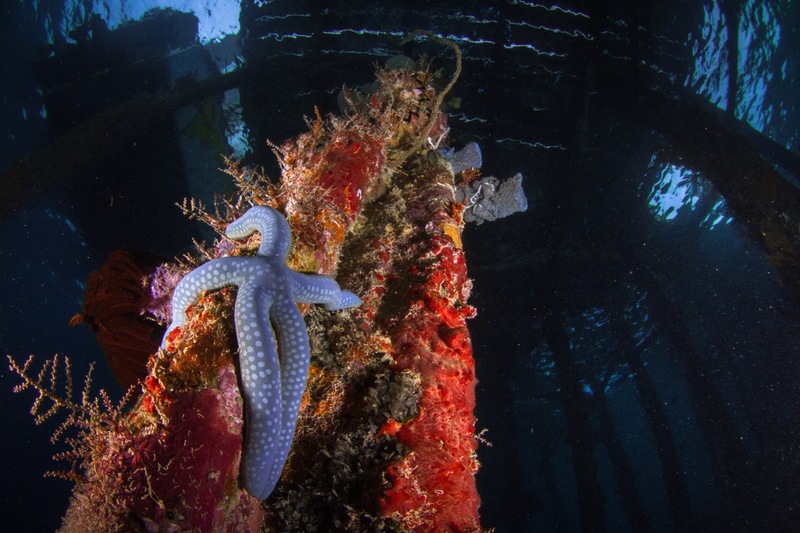 Are you considering an underwater adventure over the holidays? Visit PADI Travel to find and book the perfect scuba diving vacation.